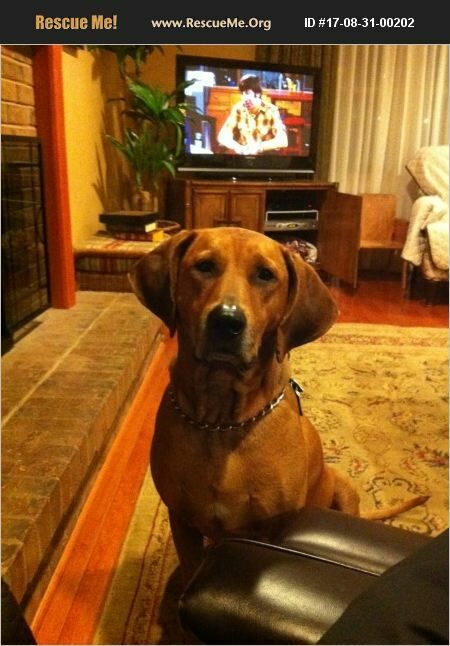 Pennsylvania Redbone Coonhound Rescue View other Redbone Coonhounds for adoption. Hunter is a great dog and we have had her for 6 years. She is 75% red bone and 25% Akita. She must be on a leash due to our location and but if she gets loose she heads for the woods to hunt and returns home after her run. I have used to her to hunt down and find missing pets. She has a great nose and could be a rescue dog. She is 87 pounds and strong. We have a grandson who CP and she is excellent with him. We are in our 70s and my wife cannot handle her on leash.